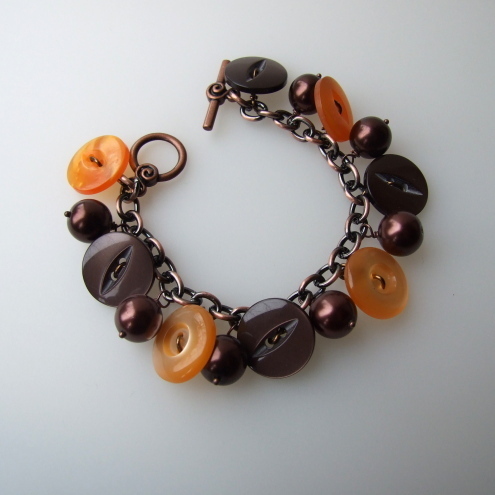 Folksy :: Buy "Chocolate Orange Button Bracelet"
Chocolate and Orange Buttons are paired with Chocolate Glass Pearls and antiqued copper chain in this eye catching bracelet. Bracelet length 8 inches. Chain and fittings are antiqued copper finish.